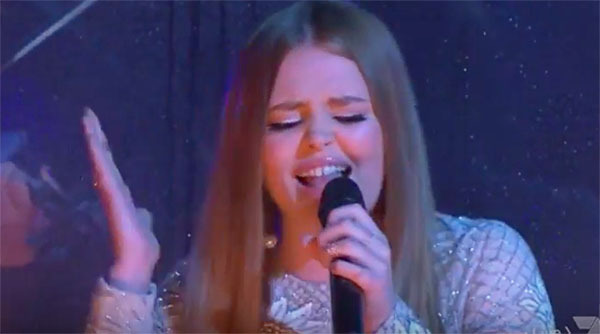 Amalia Foy sings her rendition of ‘Set Fire To The Rain’ by Adele on The X Factor Australia 2016 Grand Final on Sunday, November 20, 2016. Amalia also sang “Boom Clap” with Charli XCX for her second performance. Watch her grand final performance on the video below. The final 4 Davey Woder, Amalia Foy, Vlado and Isaiah Firebrace are on their final journey in winning the The X Factor Australia 2016 competition. Results of the public vote and the X Factor winner will be revealed Monday night. What can you say about Amalia Foy’s performances? Share your thoughts on the discussion box below.